The pleasure of making handmade Christmas cards starts early at my house. and try to keep it all the year". Some papercrafters I know literally start making their new supply right after New Year's Day. Generally I start making mine up in about July. 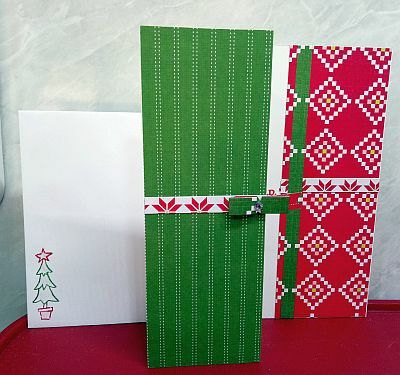 I love to give a special greeting to each of my family members and friends, and that means making quite a few cards. When I am part of a Christmas Cards for the Troops drive I make even more. 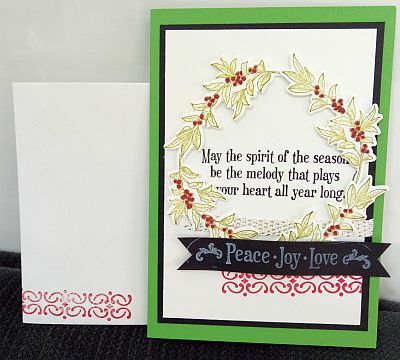 This card was made with the Musical Seasons bundle. I love it. I CASEd this idea from the seasonal catalogue. I made quite a few different Christmas cards this year. I will show you some of them here. I liked the colours of the QUilted Christmas designer series paper stack so much I used them a lot this year, even using the whole stack for once! 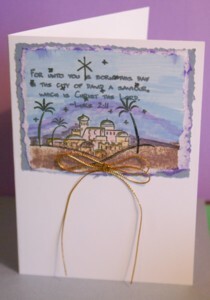 The card shown above was made with the Good Tidings stamp set. 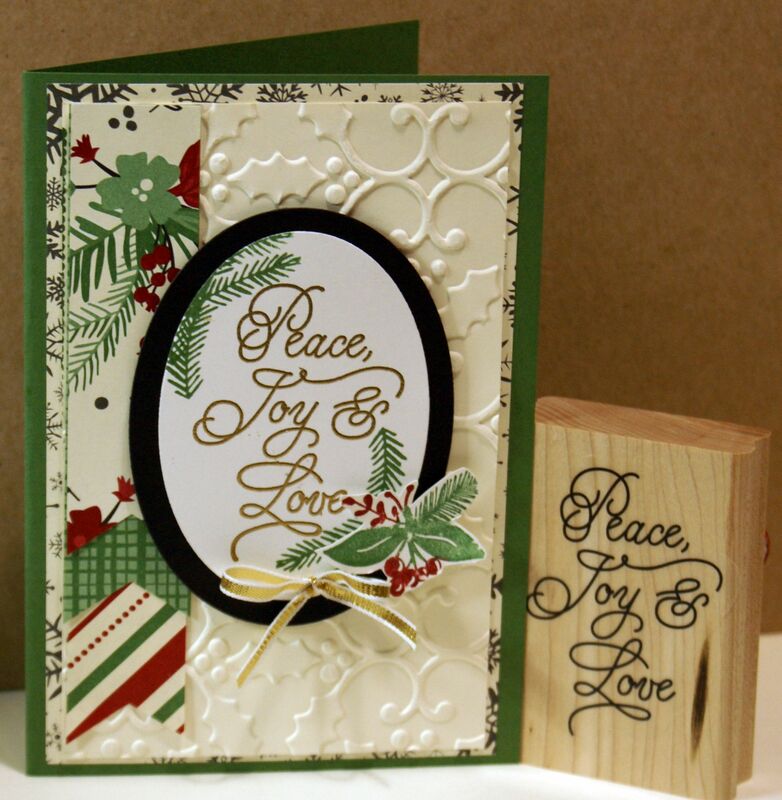 I hand cut the holly and berries after stamping it. I used some retired framelits to make the tags. You could make them without framelits. I just like to use framelits so I can centre my sentiments before I cut them out. The dsp is from Merry Little Christmas. 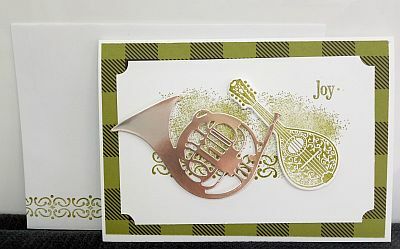 The card above was made using the Musical Season stamp set. I used four of the leaf and berry shapes to make a wreath. 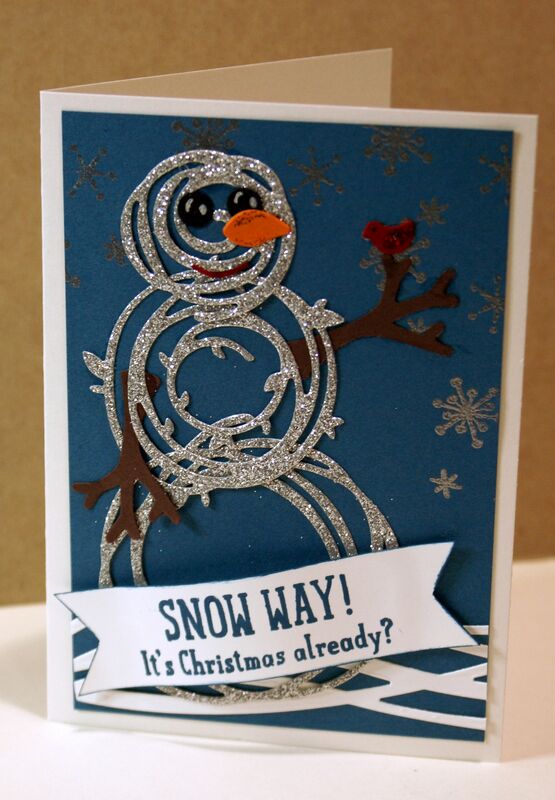 Such an easy card to make! I have to use my Lovely as a Tree stamp set each year. I just have to. 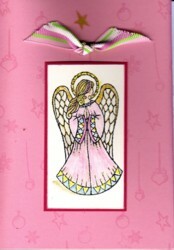 This one has a background image made with the Star of Light stamp set. All of my supplies are from Stampin' Up! 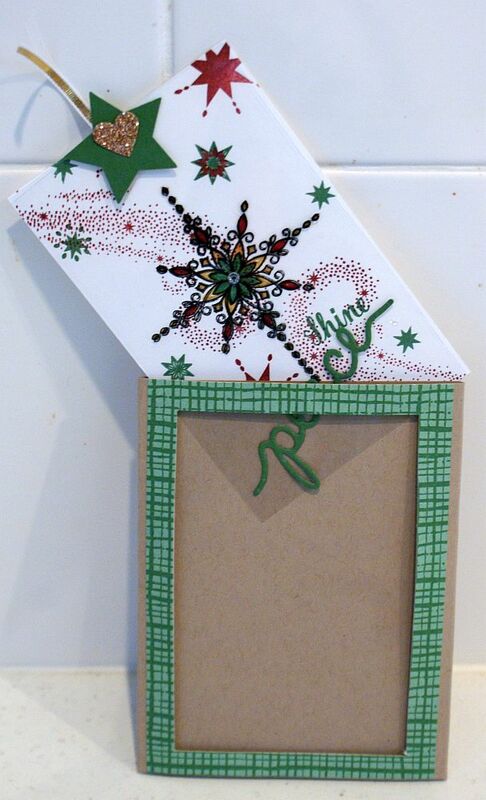 for this year's cards and supplies are available at my online Stampin' Up! SusanSalutations store. 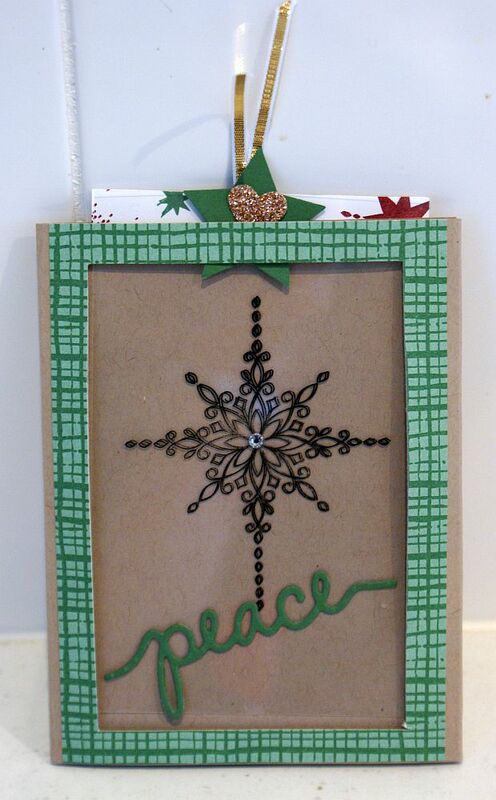 This one is made with the lovely Peace This Christmas stamp set and was not a CASEd card. This year I seemed to be going for whole card images. And sometimes colouring. Colouring is in, right? 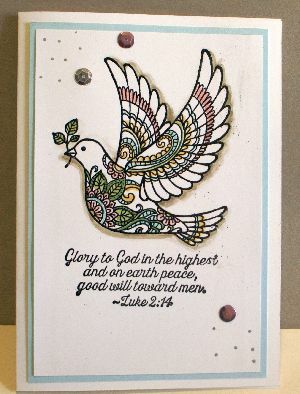 I love that beautiful Dove stamp that Stampin' Up! had in its seasonal catalogue this year. It's gorgeous. See what I mean? She really is gorgeous. Heat emboss the image to make it easier to colour. 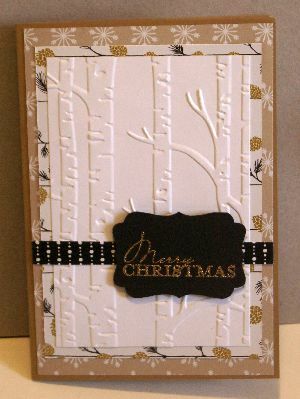 I'm loving the Woodland Textured Impressions Embossing Folder too, and it's still current! Here I just used it simply. If you want to know how to put an image behind the trees, you can read about it on Susan's Saga. So spectacular. So easy! 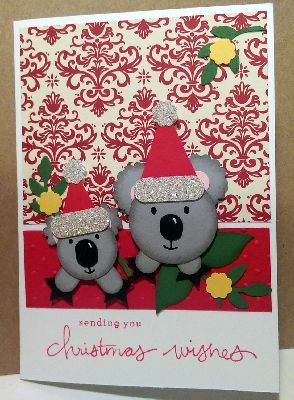 You could make a heap of these pretty cards in a hurry. Now here are some cards I made in previous years. Maybe you will be inspired by something here and make some too. If you do use one of my ideas, I would appreciate a link back to PaperCraftCentral.com. Thank you for your kindness! 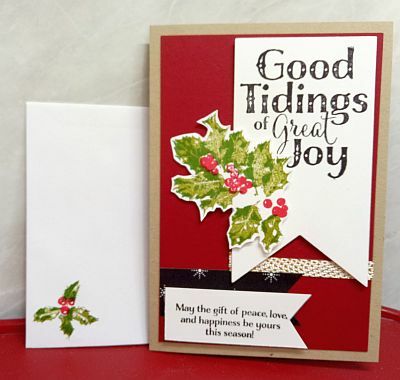 There are so many styles to choose from when making seasonal greetings. Traditional salutations are the ones many of us are familiar with - the rich greens, reds, silvers, golds and purples or royal blues are natural winners for reminding us of the season. We also have favourite images to use - think stars, trees, baubles and angels like the one I made above. There is no mistaking the purpose of these cards. 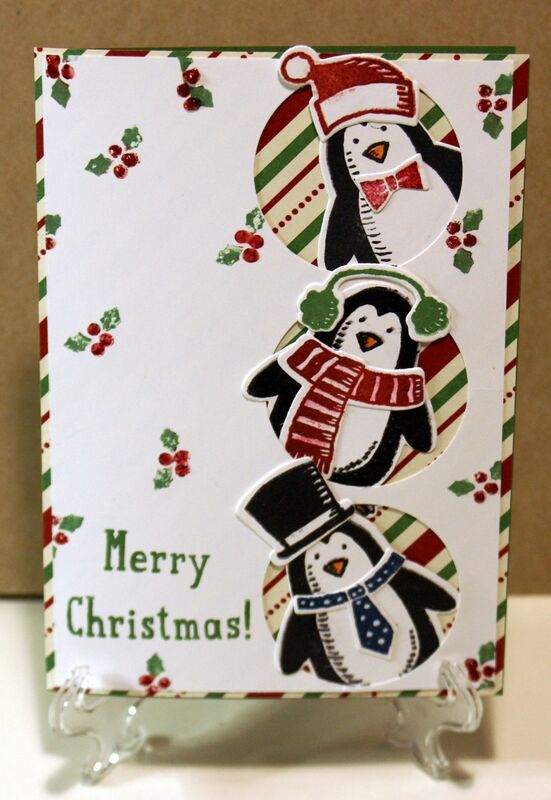 But what if you don't have a stamp or die cut or punch with traditional Christmas images on it? Improvise, I say! 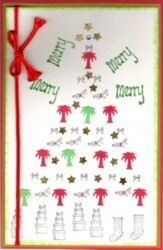 Here I have used a small palm tree punch to build my own Christmas tree. For me this card has a humorous angle to it as Christmas occurs in summer in Australia, where I live, and palm trees are much more likely to be seen here then than snow. You could of course substitute any other small stamp or punch to make your tree. 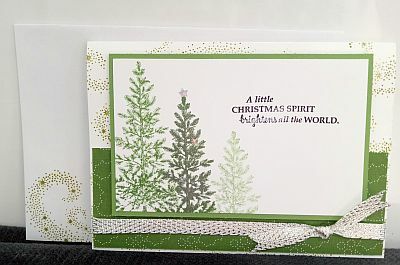 A card like my palm Christmas tree may take a little more time to make, which is fine when you have started making them early, but what if you would like to make a card quickly? 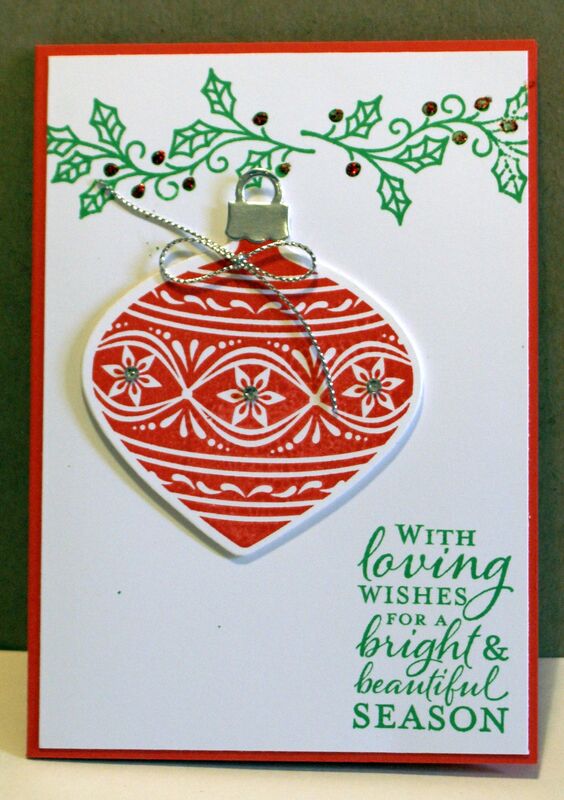 Again you can use some basic shapes to make a lovely card. Here is a card I made from an idea inspired by Kristina Werner. It uses circle punched from Christmas designer paper and a few metallic pens to dress up the baubles. 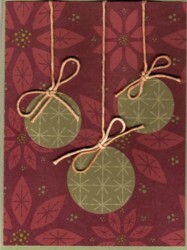 I've punched little holes in the designer paper background to thread the cords through and tie them off in front. This way the cord can show through on the other side of the card front. You could use any other colour scheme that appeals to you and substitute the cord for ribbon. I hope you can see how you could make a number of these cards quickly. 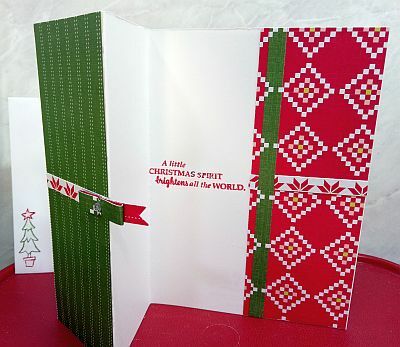 Traditional is not the only way to go when making your Christmas cards. Many designs are made with soft pinks and yellows like I used for my angel card at the beginning of this section, or shades of rich brown, or very dramatic and sophisticated black and white. The choice is yours. 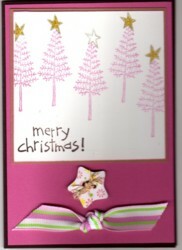 Here I have used a tree stamp and added a little star to the top of each one to make them Christmassy. 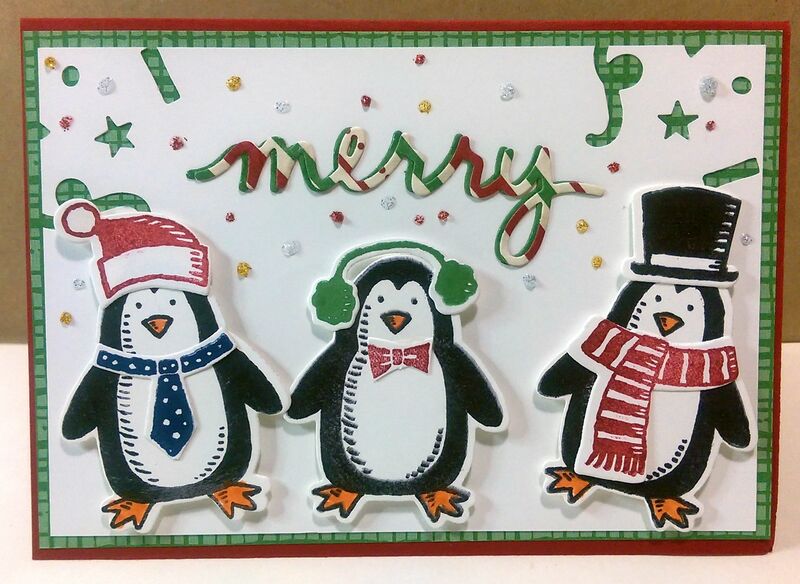 If you would like to make this card or use some of the techniques shown here, I have written some instructions for how to make it. If you have not used your punches in imaginative ways before, I'd like to encourage you to take an extra step with them and try making some new images. It's a fun thing to do! However you decide to make your Christmas cards this year, I hope you enjoy this special season with your friends and family. And if you have a special greeting to share, I would love to see it. You can upload it using the form below.